It may seem like Govhack is asleep at the moment – that is how we tend to look around this time of year. But for some of us – this is far from accurate. This post is a collection of some of the things that have been happening behind the scenes over the last few months. Gavin Tapp has just joined the board of Directors. I expect your first questions might be – “who is Gavin Tapp”, and next “Govhack has a board?” Let me talk about the second question first. Over the last two years, Govhack has been through some changes in how the organisation is structured and operated. In the first half of 2017 Govhack moved out from the Linux Australia umbrella and was established as its own company. This happened because Govhack has grown to the point where it needed a dedicated structure and board of its own – and Linux Australia’s board encouraged a move in that direction. Prior to Linux Australia, Govhack had operated under NICTA for several years – it had never existed as its own legal entity, or had systems of its own to manage finances, contracts, make formal decisions etc. This was not a problem for the most part – there has been a fairly steady crew of people working to provide management of Govhack since it started an annual event program in 2012. This group has included Pia Waugh, Geoff Mason, Alex Sadlier, myself and several others that have provided direction to the organisation over the years. 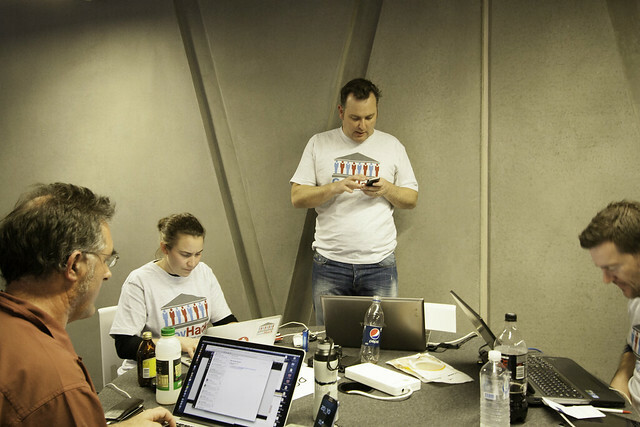 We have all worked as unpaid volunteers and contributed hundreds of hours to govhack over the years. 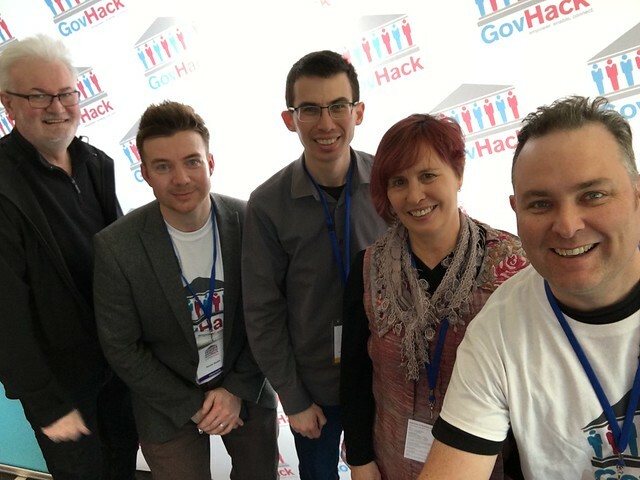 As Govhack grew (and as the group listed above got busier jobs) Govhack needed some form of operational support – beyond what was reasonable to ask someone to provide as a volunteer. If you have been involved in volunteer organisations you will understand that it is easy to burn out your best volunteers by allowing them to do too much. We wanted the continuity that comes from volunteers that return each year combined with the capacity that come from buying services. At this point Jan Bryson entered the Govhack organisation via her companyPartner&Prosper. Jan having worked with Pia when they arranged a national tour of Australia for Sir Tim Berners-Lee. Partner&Prosper has provided services to manage contracts with sponsors, full financial management and travel and event management services for the Red Carpet Awards event. In addition to this, Jan has been a very valuable member of the management team providing sound advice and is a joy to work with. In the following two years we added to the amount of paid work done in support of Govhack by engaging Richard Tubb. Richard provided critical support in the running of Govhack – particular for the local events that take place around the country and in supporting the large number of new volunteers that join Govhack each year. In 2016 and 2017 Richard moved into the lead role for Govhack and also managed the establishment of Govhack as a company in its own right. Which brings me to board members. The initial company board members were Jan, Richard and Kevin Keith. As 2017 was Richard’s last year working with Govhack, it was important to add another Director to the board to maintain the minimum required number. With that background out of the way – I’d like to introduce myself and then look toward what we hope to do with Govhack in 2018 and beyond. I live in Canberra, and have worked at several government agencies over the years. I’ll soon join the Health and Public sector team at Accenture. Until recently, I worked for Acquia which is a software company built around the Drupal open source software project. See my linkedin for more work stuff. I’ve been involved with Govhack since the first event held in 2009 – an initiative of the Gov2.0 taskforce. I was involved with Barcamp Canberra – an unconference which allowed people to give ad hoc talks on any topic they liked (but general focussed on technology, social progress and democracy). I helped to organise govCAMP events in Canberra – which took the same unconference model to a forum intended for public sector employees to put ideas forward and pursue innovation. I was webmaster a national charity for a number of years – which let me learn about lots of things from linux and PHP through to marketing, social media and fund raising. These days I’m more involved in project management and planning than in development – but I like to have a go on small projects every so often just to maintain some skills. In short – I like open source software, I’m interested in how technology can improve government and provide better outcomes for people. I believe in improving access to information to allow people to use it for help society. Increase transparency around how Govhack operates, ideally moving to ‘radical transparency’ where all key decisions and records are available to the public. Improve participation in Govhack governance by adding board members with a range of experiences and perspectives. Similarly, there will be a place for members of Govhack to have a formal role in Govhack. At present the only members are the Directors. We plan to expand this group significantly in 2018 – effectively handing control of Govhack back to the broader community. Borrow from successful open source projects and start a public issue queue for govhack. This will allow us to be transparent in what we are working on, and where you may be able to help. This will cover both redevelopment of software tools that we use (like the Hackerspace) but also other tasks, feedback and decisions that need to be made. For example – if you don’t like the current Govhack logo – this could be raised and discussed within the issue queue. Consult with key groups in the govhack community. We will setup consultation with groups like government agencies, hackers/public advocates and corporate sponsors. We want to make sure we understand what these key groups want from govhack. Publish a roadmap for govhack for the next 5 years after consultation with all the groups mentioned above. Over the coming weeks Jan, Kevin and I will be meeting with people to fill them in on what has been happening, and discuss plans for next year. And importantly enlist people to help with Govhack – we have exciting things to do together!